February 25--On this day in 1800, Jean Marie Odin was born in Hauteville, France. While a student at a Sulpician seminary in Lyon, he volunteered to serve in the American Diocese of Louisiana and the Floridas. After arriving at New Orleans in 1822, Odin continued his religious education at a seminary in Missouri, where he was ordained in 1823. 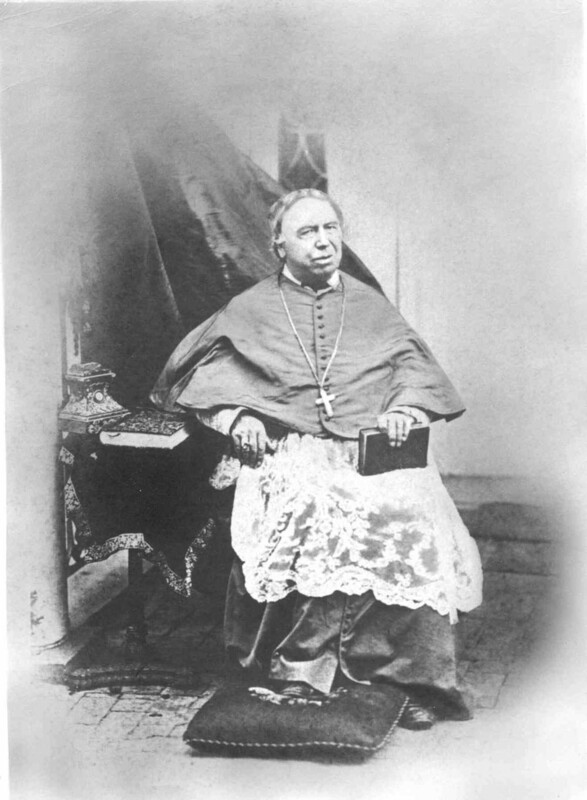 In 1825 he took vows as a priest of the Congregation of the Mission (Vincentian Fathers). In order to rebuild the church in Texas after its decline with the secularization of the missions (1794-1830) and the Texas Revolution, the Holy See in 1839 established the Prefecture Apostolic of Texas and placed it under the care of the Vincentians. The photograph of Jean Marie Odin is from the Catholic Archives of Texas.